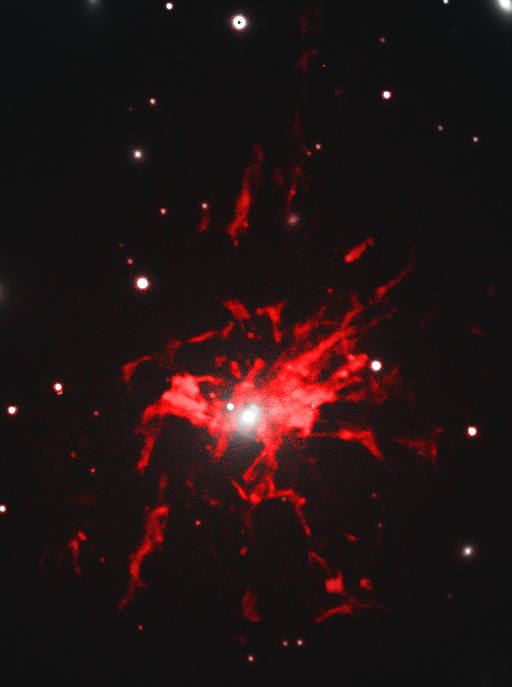 Hα filamentary structure around NGC 1275. Credits:SDSS/CFHT, Marie-Lou Gendron-Marsolais, Julie Hlavacek-Larrondo, Laurent Drissen and Maxime Pivin-Lapointe. Four researchers from the Center for Research in Astrophysics of Quebec (CRAQ), Ph.D. student Marie-Lou Gendron-Marsolais and professor Julie Hlavacek-Larrondo, from Université de Montréal, as well as professor Laurent Drissen and Thomas Martin from Université Laval, used SITELLE, an instrument recently installed at the Canada-France-Hawaii Telescope (CFHT), to reveal for the first time the intricate dynamic around the galaxy NGC 1275. Movie showing how the filamentary structure of NGC 1275 varies with wavelength. Credits: Marie-Lou Gendron-Marsolais, Julie Hlavacek-Larrondo, Laurent Drissen and Maxime Pivin-Lapointe. However, a spectacular network of thin intricate filaments surrounding the galaxy NGC 1275 is visible at specific optical wavelengths. "These types of filaments are often visible around galaxies that lie in similar environments... but their origin is a real mystery", declares Marie-Lou Gendron-Marsolais, lead author on the paper. 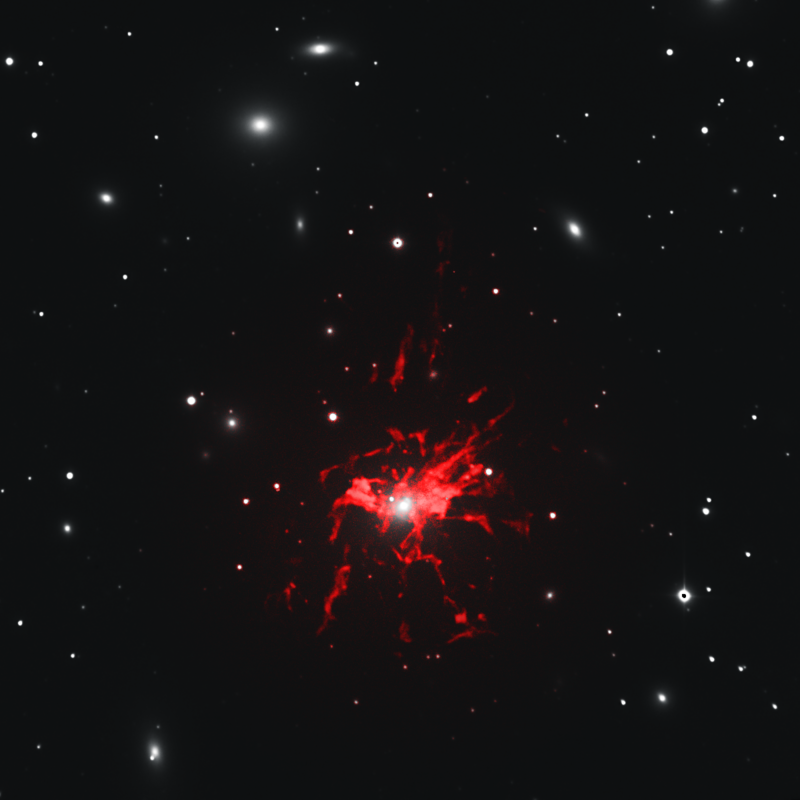 Extending over 250 000 light-years, two and a half times the size of our own galaxy, the link connecting this large nebula to its environment is still very poorly understood. Two hypothesses clash: it could be filaments condensing from the hot intracluster gas and sinking toward the center of the galaxy or rather gas lifted by the bubbles created by the central supermassive black hole jets and driven out of the galaxy. To unravel the mystery of these filaments, the international team of researchers came up with the idea to use SITELLE, an instrument at the Canada-France-Hawaii Telescope able to map the galaxy at several different wavelengths simultaneously. 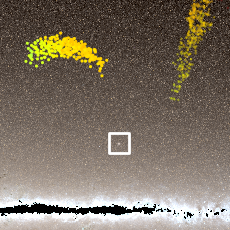 "You get a spectrum for each pixel in the image" said professor Julie Hlavacek-Larrondo. "But what is unique about SITELLE is its vast field of view, covering NGC 1275 in its entirety for the first time since the discovery of the nebula, 60 years ago", she adds. Located at the top of Maunakea on the Big Island of Hawaii since 2015, SITELLE, funded by the Canadian Foundation for Innovation, is the result of a collaboration between ABB's high-performance technology company, CFHT, Université de Montréal and Université Laval, under the scientific supervision of Professor Laurent Drissen. Thanks to this instrument, the team of researchers could measure the radial velocity, namely the speed along the line of sight, of each of the filaments, thus revealing their dynamics with an unequaled level of detail. "It seems that the movement of this network of filaments is very complex, there does not seem to be any uniform movement, it is extremely chaotic," said Marie-Lou Gendron-Marsolais. The researchers are convinced that such observations can help to unravel the mystery of these structures. Overall, the understanding of the dynamics of these filaments is directly related to the processes of heating and cooling of the gas that feeds the central black hole. It therefore constitutes a key element in the study of galaxy evolution and, on a larger scale, environments such as clusters of galaxies. Press release from the Université of Montréal. 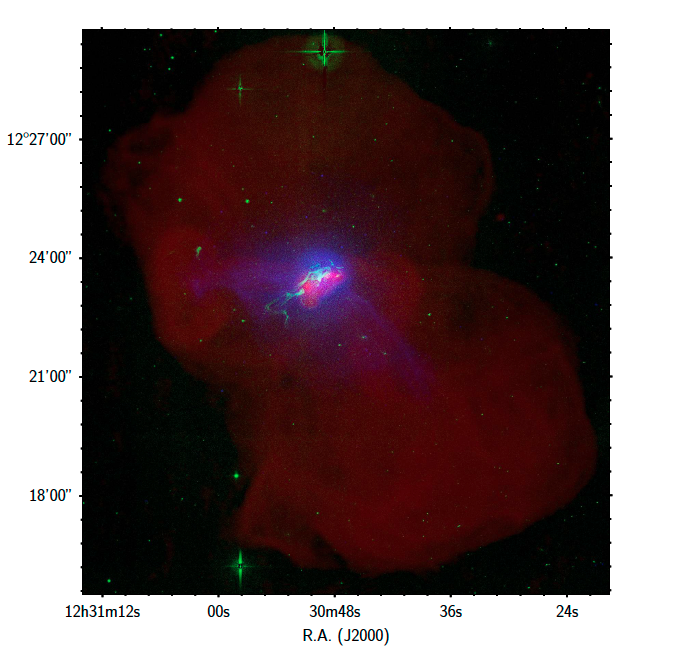 Press release from the Center for Research in Astrophysics of Québec.